Hello! It's been over a month since I first got my Daniel Wellington watch and if you follow me on Instagram you'll know that I wear it everyday! If you'd like to read the in-depth review I did on this watch then click here. 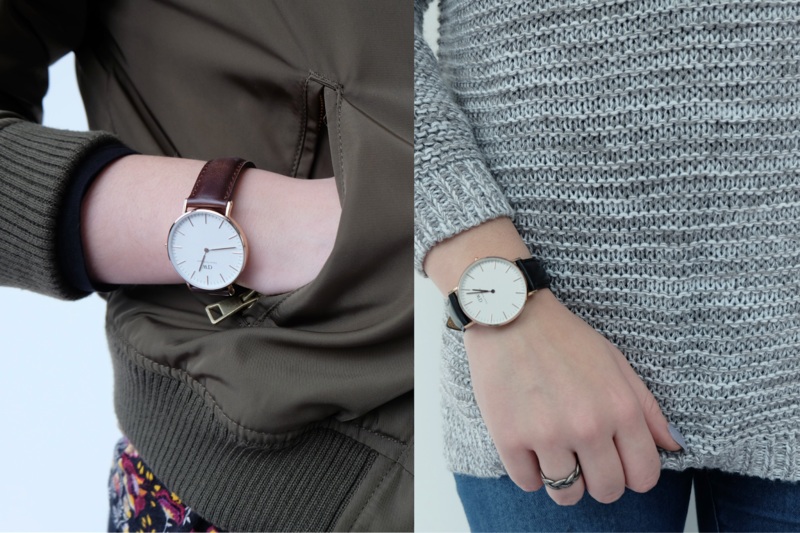 As I got the Classic Bristol (brown leather) and the Classic Sheffield (black leather) wristbands it makes the watch very versatile style-wise, which I love and the wristbands are very easy to interchange! 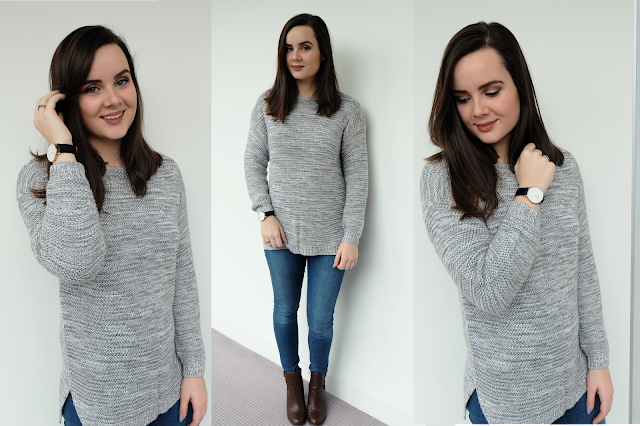 In today's post I wanted to show the watch with it's two different wristbands styled with two different outfits. 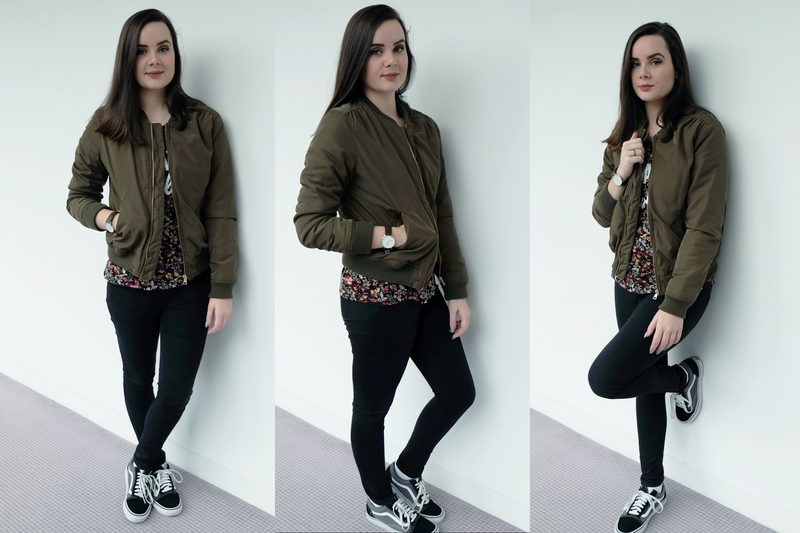 For the first outfit I styled the Classic Bristol wristband with my new favourite bomber jacket from Bershka. The brown strap goes really well with the print of this t-shirt from H&M and also with the colour of the bomber jacket. 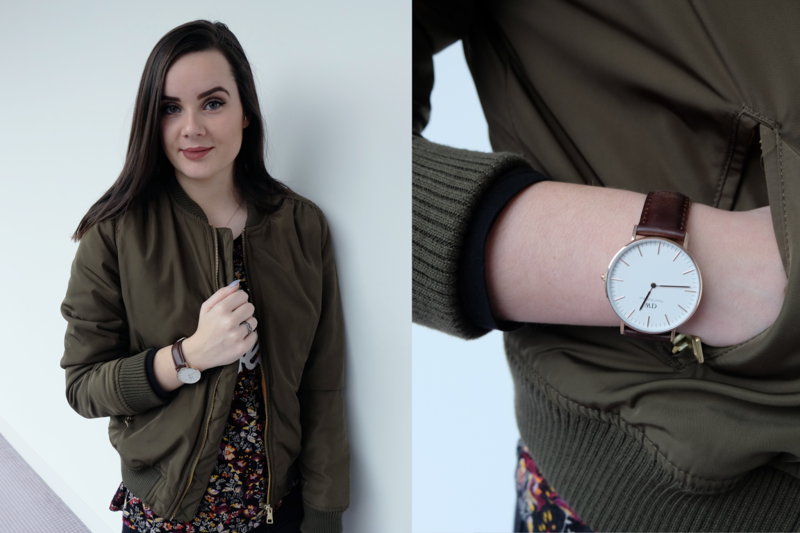 For the second outfit, I paired the Classic Sheffield wristband with a rather neutral and soft look, so the dark leather strap would really stand out. I also think the rose gold of the watch looks gorgeous against black. I love having the choice between two different colour wristbands and being able to change them so easily depending on what outfit I want to wear is a huge plus for me. 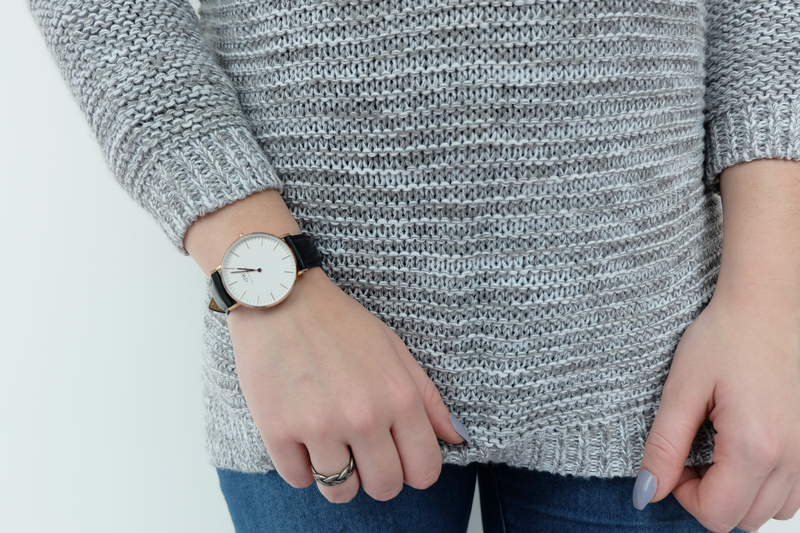 Daniel Wellington offer a whole range of interchangeable wristbands so there will definitely be something to suit everyone's style. If you'd like to buy one of these beautiful timepieces, you can use the code 'penneystoprada' to get 15% off of your purchase! Thanks so much for reading and as always, I hope you enjoyed this post.